Mt. Ossa (1617 metres) is the tallest mountain in Tasmania. 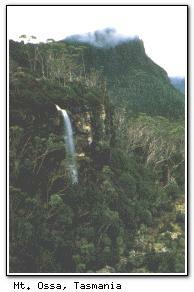 It is located in the Cradle Mountain-Lake St. Clair National Park, approximately 25 km south of Cradle Mountain.